Inspired by her parents’ pioneering leadership in the fields of American Indian education and self-determination, Roessel attended the UNM School of Law and became a lawyer who has had a diverse career in law, policy, government, education, and advocacy focused on persons and communities of color especially families, children, and youth. Her current work focuses on building understanding and breaking down stereotypes about American Indians and tribal governments through communication, cross-cultural exchange, and experiential education. Roessel has spent her legal career advocating on behalf of American Indians before all branches of government. She is the recent past President of the Board of Directors of the Association on American Indian Affairs and serves on national non-profit boards. Within these organizations, Roessel aims to engage youth, promote the educational and socio-economic attainment of American Indians and other at-risk communities and, most importantly, create dialogue and understanding as a basis for solving problems. Prior to entering federal service, under then Navajo Nation President Peterson Zah, Roessel reestablished and directed the Navajo Nation Washington Office. With this role, she was the primary liaison between the Navajo Nation government and federal legislative and executive branch officials. 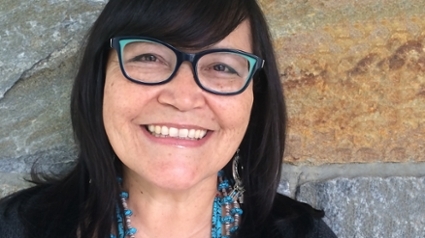 Throughout her career Roessel has sought to connect her professional work to her home community of Round Rock, Arizona on the Navajo Nation, where she and her four siblings were raised by their parents. A decade ago, she and her three sons created a community service-learning trip to broaden the educational opportunities and experiences for native students in Round Rock and in Arizona and New Mexico and for high school students from the Washington, DC area. As a family, the Roessels also organize school supplies and backpack drives for Navajo schools and work with the Round Rock senior center to provide clothing, care packages, and holiday dinners for Navajo elders.